Step 1. 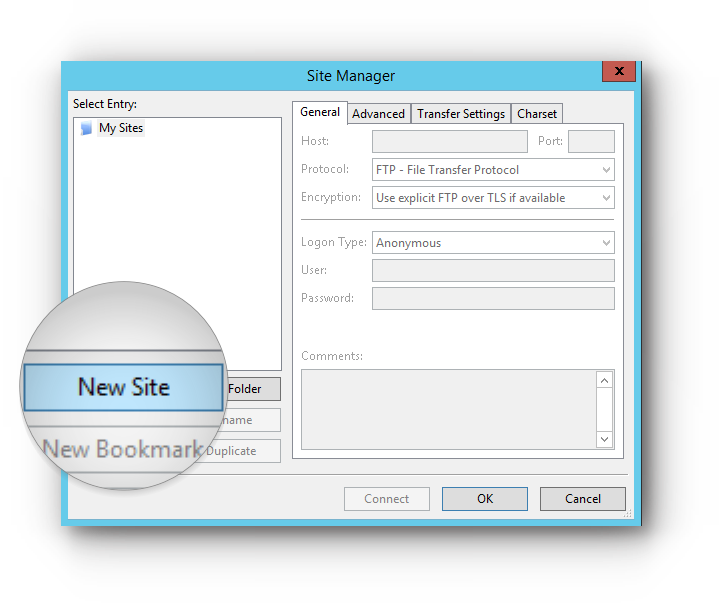 Get your FTP credentials and open FileZilla client. Step 2. Click on File and choose on Site Manager. Step 3. 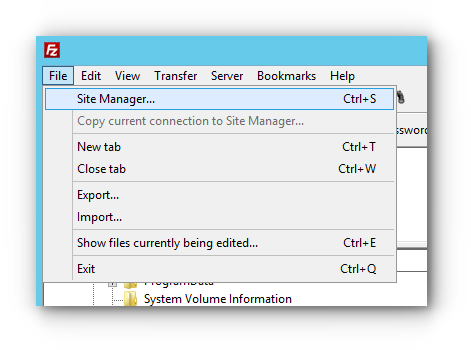 Site Manager window will pop-up. Click on New Site button. Step 3. In the General tab, choose on Only use plain FTP (insecure) for the Encryption. For the Protocol, Shared Hosting package should use FTP while VPS and Dedicated Hosting may either use FTP or SFTP. Step 5. For the Logon Type, you may choose on Normal. Step 5. 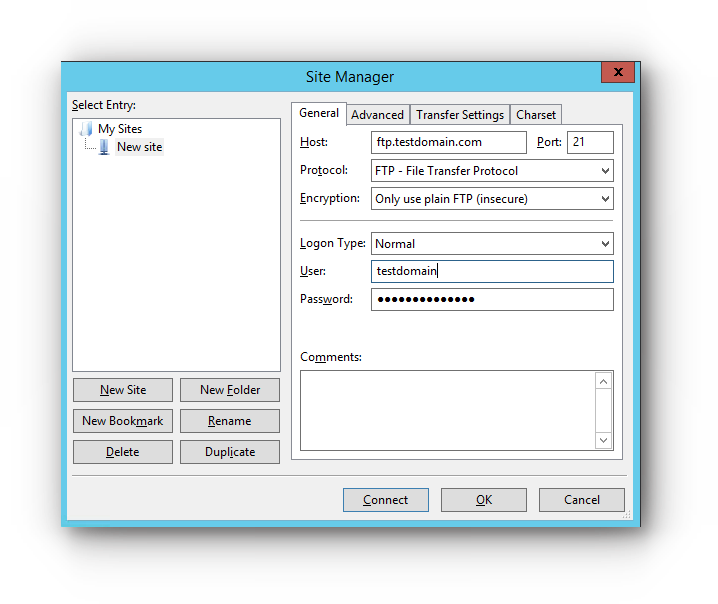 Enter your FTP Host (server name), Port, User (username) and FTP password. Step 6. Click on Connect button. 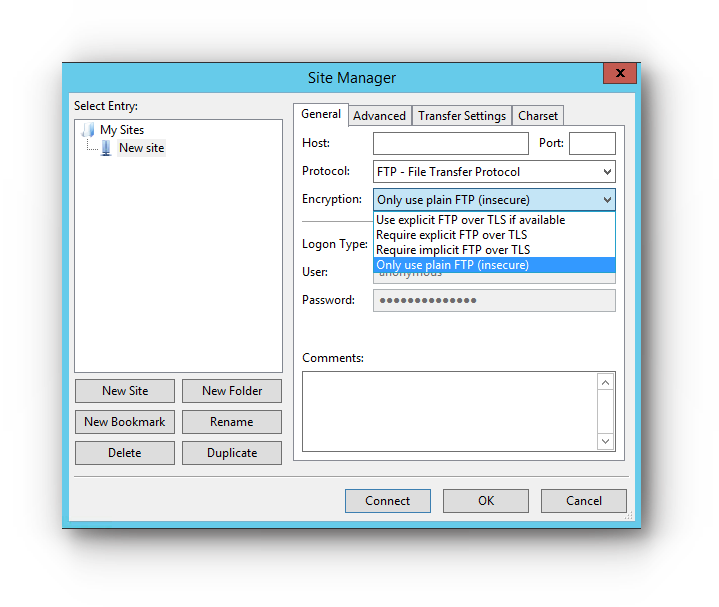 Another way of connecting to the FTP server is by using the Quickconnect option. Step 1. Enter the Host, Username, FTP password and Port. Step 2. Click on Quickconnect button.